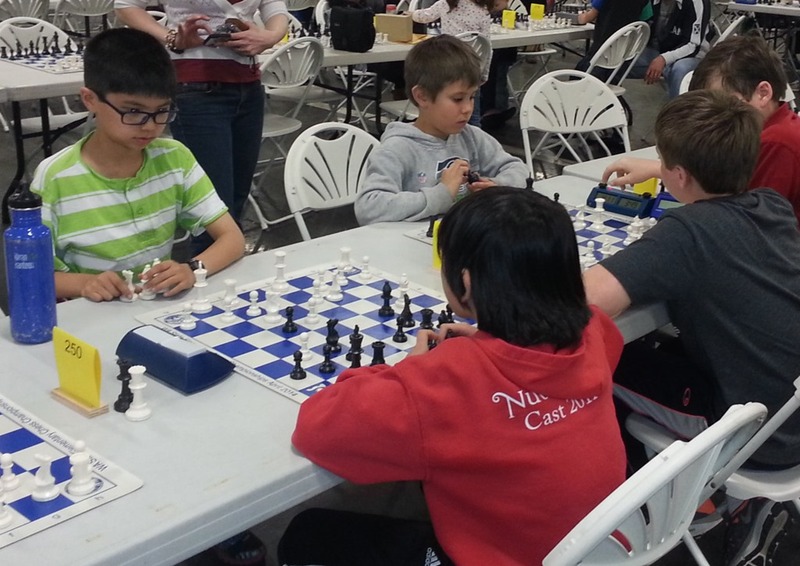 Before the Washington State Elementary Chess Championships kick off, there is a bughouse tournament. Bughouse is a chess game where two people are on a team, and they give each other chess pieces that they capture from their opponents. Because of the 5 minute timer limit and the somewhat randomness of teammates exchanging pieces, the intensity of the game is very different than a regular chess game. Last year, Caleb was randomly paired off with a teammate, Orion. They worked together well and ended up winning their section. We kept each other’s contact info and paired up again this year. When we met up with them this year, we recognized him from another Chess tournament a month ago. Orion got 1st place at the tournament. Caleb got 3rd. They even actually played against each other without realizing that they were partners last year. (You’d think being chess players, they’d have highly honed social skills.) That game resulted in a forced draw. This past year, they had both gotten considerably better. They played several practice games against each other going back and forth. 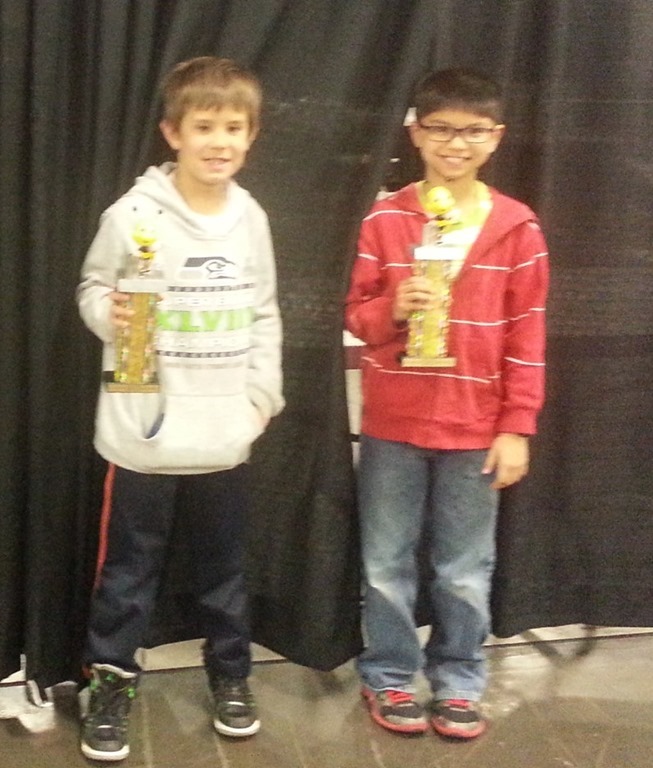 They were about to about go in and defend their Bughouse title and had high expectations. Once the tournament started, I went over to the parent section and worked while Caleb and Orion did their business… After every few games, I’d get an update. Towards the end, I met up with them as they were waiting for the final results. They had won 8 games and lost 2. There were several other teams that also had won 8 games, but had several more games to play. Worst case, they’d get 3rd place. They thought they were probably going to get 2nd place. They expressed some disappointment.